Martín Alonso and Vicente Yáñez, captains of the caravels La Pinta and La Niña, respectively on Columbus's first voyage, are the best known of the brothers, but the third brother, the lesser-known Francisco Martín, was aboard the Pinta as its master. Although they sometimes quarreled with Columbus, on several occasions the Pinzón brothers were instrumental in preventing mutiny against him, particularly during the first voyage. On 6 October, Martín intervened in a dispute between Columbus and the crew by proposing an altered course (which Columbus eventually accepted) and thus calmed simmering unrest. A few days later, on the night of 9 October 1492, the brothers were forced to intercede once again, and this time they proposed the compromise that if no land was sighted during the next three days, the expedition would return to Spain. 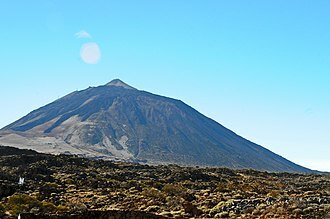 On the morning of the 12th, land (there is some question of the location: see Guanahani) was in fact sighted by Juan Rodriguez Bermejo (also known as Rodrigo de Triana). The historic port of Palos was a river port, protected from winds and from pirate attacks, both major hazards to the ports of the time. 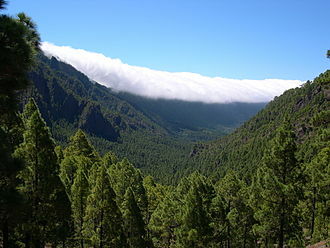 It was located on the lower portion of the Río Tinto known then as the Canal de Palos, about 4 kilometres (2.5 mi) from its mouth at the Atlantic and its confluence with the Odiel. The port probably grew simultaneously with the town, first as an anchorage for small vessels engaged almost exclusively in fishing on the beaches and estuaries and occasional commercial transactions to supply the small population. 18th century topographic map, showing the location of the old port of Palos. For many, the expression port of Palos brings to mind the present-day port with its old wharf, the muelle de la Calzadilla from which the Plus Ultra flying boat departed in 1926 to cross the Atlantic. This is not the 15th century port. The municipal ordinances of the era (Ordenanzas Municipales de Palos (1484–1521)), focused mainly on regulating the town's maritime activities never use the terms puerto (port) or muelle (wharf). The caravels of Palos "arrived at the riverbank" ("aportaban a la ribera"), where they discharged their goods and auctioned their fish. That is to say, the activities of the port were not conducted in any single place, but along the length of the bank of the Río Tinto, because of the large number of ships and relatively high volume of merchandise they had to handle. On the eve of Columbus's first voyage, the entire riverbank between the present-day wharfs near the center of Palos and 3 kilometres (1.9 mi) away at La Rábida Monastery was an active port. The caravels anchored in the center of the river, where the depth was sufficient for their drafts, and paid for the rights to anchor there. From the caravels, boats and dinghies loaded or unloaded the goods "tying up to the shore" ("amarrando en la ribera"). The port had a population density similar to that to the town proper, from what we can deduce from the Ordenanza Municipal, which prohibited weapons on the riverbank because the people there were as tightly packed as in the town proper (the expression used is "tan aparejadas como en la Villa": aparejadas is nautical Spanish for something that has been furnished or supplied). Beginning in the first third of the 15th century, the port of Palos experienced continual economic growth, obtaining an importance well beyond the local area and achieving even international dimensions, as is testified by the frequent presence of English, Breton, Flemish, and Italian ships. Following in the wake of the Portuguese, the ships of Palos traveled to the Canary Islands and Guinea, with their rich fisheries and the commercial possibility of trade in gold, spices, and slaves. In the second half of the 15th century, Palos reaches a population of three thousand. The alota of Palos, a type of customs warehouse, paid the largest tribute of any such facility to the Duke of Medina Sidonia, its primacy being such that it fishermen were recruited from other towns along the coast and two residents of Palos. Juan Venegas and Pedro Alonso Cansino, were placed in charge of giving licenses to fish in the Afro-Atlantic waters from Cabo Bojador to the Río de Oro, which they leased from the Catholic Monarchs Isabella and Ferdinand. 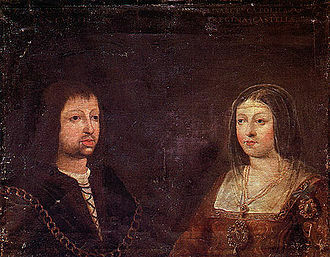 The Pinzón family were one of the leading families of 14th-century Palos. The family may have come originally from the Kingdom of Aragón, but arrived in Andalusia either from la Montaña (now Cantabria) or from Asturias. According to some historians, this surname could have been a corruption of Espinzas or Pinzas ("tweezers"). 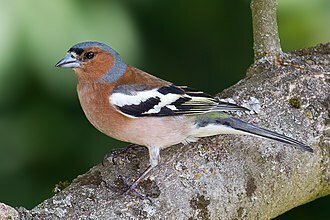 Others say that the true family name was Martín, a widespread name with a long tradition in the area, the name of their grandfather, a sailor and diver in Palos, who was dubbed Pinzón when he went blind; that, combined with his hobby of singing gave him the nickname Pinzón, the Spanish word for chaffinch, because owners of chaffinches sometimes blinded them, supposedly making them sing more beautifully. His son, also a sailor named Martín Pinzón, was the father of the three Pinzón brothers. Their mother was named Mayor Vicente, so the three were full brothers and bore the surnames Pinzón and Vicente[N. 3] (see Spanish naming customs). It appears that at quite a young age he shipped out on a locally based caravel as a grumete (cabin boy). His home, now the Casa Museo de Martín Alonso Pinzón, was on the old royal road to the Monastery of La Rábida. Martín's family contracted a marriage with a resident of the locality named María Álvarez. They had five children: two sons—Arias Pérez and Juan Pinzón, who participated in several expeditions to the Americas—and three daughters—Mayor, Catalina, and Leonor. Leonor, the youngest, suffered frequent attacks of what was then called "gota coral" and would now be called epilepsy. His nautical experience and his leadership remained patent in the 1508–1536 lawsuits known as the pleitos colombinos, where the witnesses indicated him as the leader of the comarca (a region comparable to a shire). He was also famous for his battles against the Portuguese in the War of the Castilian Succession.[N. 4] It is probable that even while in Portugal before coming to Spain, Columbus was aware of Martín Alonso, because he was known for his participation in the war, as well as for his incursions into the Canary Islands and Guinea. The Franciscans of the Monastery of La Rábida put Columbus in touch with Martín Alonso Pinzón. Pero Vázquez de la Frontera, an old mariner in the town—very respected for his experience, and a friend of Martín Alonso—also had an important influence on the oldest Pinzón brother deciding to support the undertaking, not only morally but also economically. Martín Alonso dismissed the vessels that Columbus had already seized based on the royal order and also dismissed the men he had enrolled, supplying the enterprise with two caravels of his own, the Pinta and the Niña, which he knew from his own experience would be better and more suitable boats. 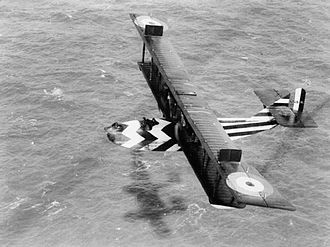 Furthermore, he traveled through Palos, Moguer and Huelva, convincing his relatives and friends to enlist, composing of them the best crew possible. He captained the caravel Pinta, from which Rodrigo de Triana was to be the first person to sight American soil. Columbus, in his diary, spoke favorably of Pinzón on several occasions. Nonetheless, after they had discovered the West Indies, the relationship between the two changed radically from 21 November 1492, when Martín Alonso separated from Columbus. Admiral Columbus launched a series of accusations of desertion against Pinzón[N. 5] and his brothers, including Vicente who had saved him when the Santa María was shipwrecked.[N. 6] Nonetheless, much of the testimony in the pleitos colombinos, as well as part of the specialized historiography and investigators, does not agree that these things happened in this manner, nor is there any accusation against Pinzón in Columbus's Letter on the First Voyage, which Columbus wrote on his return. 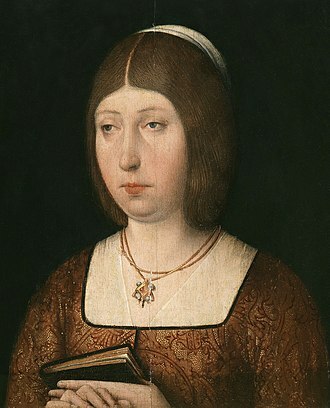 Francisco Martín Pinzón (c. 1445 – c. 1502)[N. 7] was the second of the brothers. On Columbus's first voyage he was the master (second only to the captain) of the Pinta, the first ship to sight land in the Americas. Although he was less known than his two brothers, he played a major role both in voyages of discovery and in service to the Crown. The first we hear of Vicente Yáñez is when he is denounced for assaults on Aragonese boats, some with his oldest brother,[N. 8] when he was only 15 years old. This was between 1477 and 1479, during the War of the Castilian Succession (with Portugal) in which Palos participated actively and through which its habitual shortage of grain was aggravated: its residents complained of hunger. Royal orders to various places that were supposed to supply Palos with cereals[N. 9] were disobeyed. The Pinzón brothers, taking on their responsibilities as natural leaders of the district, attacked caravels that were transporting mainly grain. 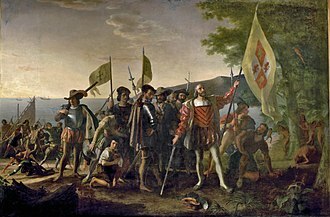 He made several more expeditions to the Americas, the most important being the voyage to the mouth of the Amazon which constituted the discovery of Brazil, in early 1500. That expedition was an economic failure. In 1505 he was made the governor of Puerto Rico. Later, in 1506, he returned to the Caribbean to search for a passage to the Pacific Ocean. 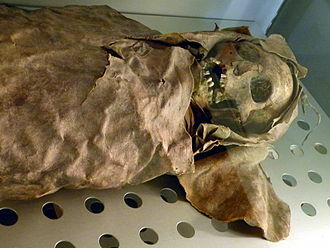 He explored all of the Caribbean coast of Central America and the Yucatan Peninsula. According to the chronicler Gonzalo Fernández de Oviedo y Valdés, Vicente Yáñez died in 1514, probably at the end of September. It is not known precisely where he is buried, but Oviedo states that it is somewhere in the cemetery of Triana. Among these other families, the Niño brothers of Moguer stand out: their prestige and influence brought the men of Moguer to unite around the enterprise. Francisco and Vicente made various voyages to Italy and Africa in service to the Crown. As mentioned above, in November 1493, Francisco, along with Juan de Sevilla, Rodrigo de Quexo, and Fernando Quintero, led an assault on the Algerian coast. In 1496 they brought money and supplies to the Spanish troops fighting in Naples. In 1498 he participated in Columbus's third voyage, in which for the first time the Admiral arrived on the continent of South America. 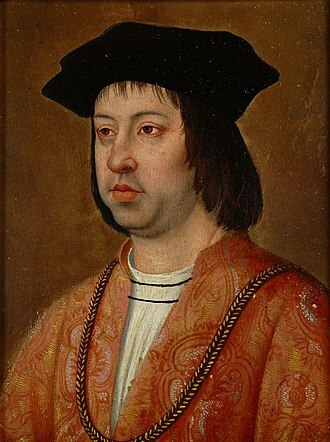 On 5 September 1501 the Crown signed an agreement with Vicente in which, among other things, he was named Captain and Governor of the Cabo de Santa María de la Consolación, later Cabo de Santo Agostinho. Vicente continued to travel back and forth across the Atlantic to fulfill his obligations as Captain General and Governor. 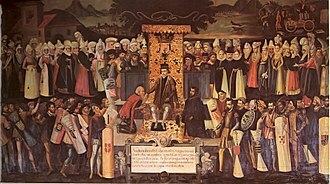 He also participated as one of the experts brought together by the Crown in the Junta de Navegantes in Burgos in 1508 to take up anew the subject of the search for a passage to the Spice Islands. 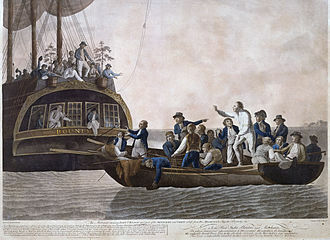 On his final voyage, along with captain Juan Díaz de Solís, he followed the coasts of Darién, Veragua and the Gulf of Paria, now Venezuela, Colombia, Panama, Costa Rica, Nicaragua, Honduras and Guatemala. 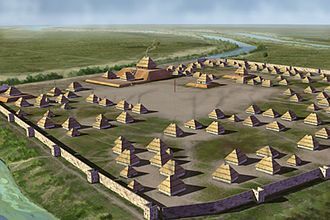 Not finding the desired passage, he rounded the Yucatan Peninsula and entered into the Gulf of Mexico to the extent of 23.5º north latitude, bringing about one of the first European contacts with the Aztec civilization. Upon returning from this voyage, Vicente Yáñez married for the second time and settled in Triana. 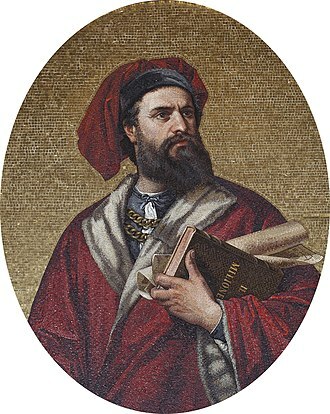 In 1513 he testified against Columbus in the pleitos colombinos. In 1514 he was ordered to accompany Pedrarias Dávila to Darién, but he was not well enough and begged to be excused. That was on 14 March 1514, and it is the last primary source document in which he is mentioned. Manzano Manzano & Manzano Fernández-Heredia 1988, Vol. I. p. 5-6. 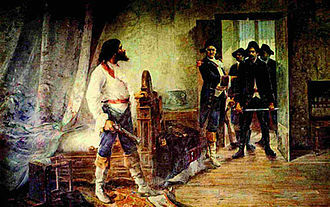 Fernández Duro, Cesáreo (1883). Colón y Pinzón: informe relativo a los pormenores de descubrimiento del Nuevo Mundo presentado a la Real Academia de la Historia. Madrid: Imprenta y Fundación de Manuel Tello. p. 230. The link is to archive.org. Ortega 1980, Tomo III, p. 47. —  Diario de la primera navegación, Narrative assembled by Fray Bartolomé de las Casas. 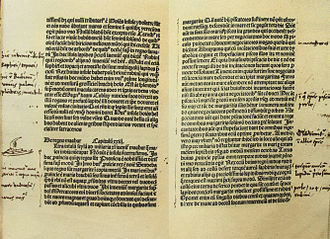 —  Diario de la primera navegación, Narrative assembled by Bartolomé de las Casas. 1477: "Letter to the councils and residents of the cities of Seville and Jerez de la Frontera, at the petition of the council and residents of the town of Palos, ordering them to allow them to take from said cities all the bread they need for their." "Carta a los concejos y vecinos de las ciudades de Sevilla y de Jerez de la Frontera, a petición del concejo y vecinos de la villa de Palos, ordenándoles que dejen a éstos sacar de dichas ciudades todo el pan que necesitaren para su provision." ^ Archivo General de Indias Sección Indiferente General. Signatura: INDIFERENTE,420,L.8,F.146R-147V. ^ Fernández de Oviedo, Gonzalo (1535). Historia general y natural de las Indias, islas y tierra-firme del mar océano. Real Academia de la Historia (1851). p. 21. Online on Biblioteca Virtual Miguel de Cervantes. ^ a b Izquierdo Labrado, Julio (2003). "Breve historia de Palos de la Frontera". Archived from the original on 2007-12-27. Retrieved 2008-10-03. ^ de Palencia, Alfonso. Década III, libro 26, capítulo 6. ^ a b c de las Casas, Bartolomé. "Tomo I. Capítulo XXXIV, pág. 256". Historia de las Indias. Retrieved 2008-10-18. On the website of the Biblioteca Virtual Miguel de Cervantes. ^ Gould 1984, p. 132 et. seq. ^ a b c Izquierdo Labrado, Julio (1999). "Vicente Yáñez Pinzón". Archived from the original on 2007-10-19. Retrieved 2008-10-18. ^ a b Izquierdo Labrado, Julio (1993). "Relaciones de Palos de la Frontera con el Algarve a finales del siglo XV". mgar.net. Retrieved 2009-05-18. ^ Julio Izquierdo Labrado. Palos de la Frontera en el Antiguo Régimen (1380-1830). Huelva, 1986. ^ González Gómez, Antonio. «Las Ordenanzas Municipales de Palos de la Frontera (1484-1521).» Historia. Instituciones. Documentos. Número 3. [permanent dead link] University of Sevilla, 1976. Manzano Manzano & Manzano Fernández-Heredia 1988, Vol. I. p. 5. ^ a b Izquierdo Labrado, Julio (1985). "Martín Alonso Pinzón". Archived from the original on 2004-08-03. Retrieved 2008-10-18. ^ a b Asensio 1892, p. 66-68. ^ a b Diputación de Huelva. "Los marineros de Huelva". Archived from the original on 10 August 2009. Retrieved 18 October 2008. ^ a b Fernández Duro, Cesáreo (1892-01-22). "Pinzón, en el descubrimiento de las Índias" (PDF) (Año XXXVI. Núm. III.). Madrid: La Ilustración Española y Americana. : 46–47. Retrieved 2009-06-04. Online on Biblioteca Virtual Miguel de Cervantes. ^ Diario de a bordo del primer viaje de Cristóbal Colón: texto completo (complete text of the Ship's diary of Columbus's first voyage, as assembled by Fray Bartolomé de las Casas. Hereafter, "Ship's Diary"). Monday 6 August, Thursday 9 August. ^ a b c Fernández-Carrión, Miguel-Héctor, Biografía de Francisco Martín Pinzón Archived 20 July 2011 at the Wayback Machine, Biblioteca Digital de la Asociación Española de Americanistas. This is an expanded version of a biography for the Diccionario Biográfico Español published by the Real Academia de Historia de España. Accessed online 2010-01-14. ^ Emilio Soler Pascual, Exploradores y viajeros por España: 1492, Vicente Yáñez Pinzón Archived 12 February 2008 at the Wayback Machine, Biblioteca Virtual Miguel de Cervantes. Of Brazil, Soler Pascual concludes "Pinzón, con toda seguridad, había descubierto tierra brasileña meses antes de que lo hiciera el portugués Alvares Cabral, en abril de 1500. ": "Pinzón, in all certainty, had discovered Brazilian territory months before the same was done by the Portuguese Alvares Cabral in April 1500." ^ dialnet.unirioja.es. "El descubrimiento del Brasil por Vicente Yáñez Pinzón: el cabo de Santo Agostinho". University of La Rioja. Retrieved 2007-12-25. ^ www.ibge.gov.br. "Os espanhóis no Brasil - séculos XV e XVI" (in Portuguese). Ministério do Planejamento, Orçamento e Gestão. Instituto Brasileiro de Geografia e Estatística. Archived from the original on 5 June 2008. Retrieved 25 December 2007. ^ www.amerispan.com. "¿Los españoles descubrieron Brasil?". AmeriSpan Study Abroad. Retrieved 2007-12-25. ^ Brasilalacarta.com. "Historia de Brasil. Desde los antecedentes indígenas hasta la actualidad". Archived from the original on 30 December 2007. Retrieved 25 December 2007. ^ www.cervantesvirtual.com. "1492, Vicente Yáñez Pinzón". Biblioteca virtual Cervantes. Archived from the original on 12 February 2008. Retrieved 23 December 2007. Gould, Alice B. (1984), Nueva lista documentada de los tripulantes de Colón en 1492, Real Academia de la Historia., ISBN 978-84-600-3829-0 The link is to an abridged copy on Google Books. 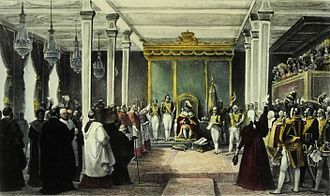 Fernández de Navarrete, Martín (1829). Colección de los viages y descubrimientos que hicieron por mar los españoles desde fines del siglo XV: Con varios documentos inéditos concernientes á la historia de la Marina Castellana y de los establecimientos españoles en indias. Imprenta real. Izquierdo Labrado, Julio (1987). Palos de la Frontera en el Antiguo Régimen.(1380-1830). Huelva: Instituto de Cooperación Iberoamericana y Ayuntamiento de Palos de la Frontera. DL H-110/87. Izquierdo Labrado, Julio (2004). Palermos ilustres. Huelva: Ayuntamiento de Palos de la Frontera. ISBN 84-606-3612-7. López de Gómara, Francisco. 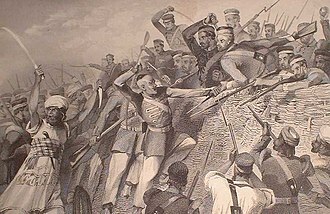 Historia general de las Indias. Linkgua Ediciones, S.L. ISBN 978-84-96290-13-6. Varela Marcos, Jesús (2005). Colón y Pinzón: descubridores de América. Universidad de Valladolid. ISBN 978-84-933938-0-9. The Río Tinto is a river in southwestern Spain that originates in the Sierra Morena mountains of Andalusia. It flows generally south-southwest, reaching the Gulf of Cádiz at Huelva, since ancient times, a site along the river has been mined for copper, silver and other minerals. 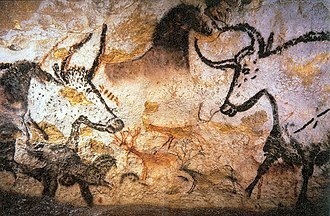 In approximately 3000 BC, Iberians and Tartessians began mining the site, followed by the Phoenicians, Romans, after a period of abandonment, the mines were rediscovered in 1556 and the Spanish government began operating them once again in 1724. 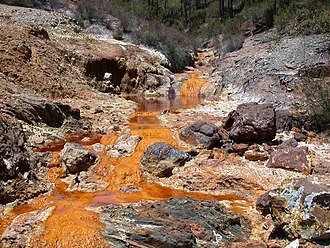 As a possible result of the mining, the Río Tinto is notable for being very acidic, acid mine drainage from the mines leads to severe environmental problems due to the heavy metal concentrations in the river. The ore body was deposited in the Carboniferous by hydrothermal activities on the sea floor, the river area has a history of mining activity since the Tartessans and the Iberians started mining in 3000 BC. The mining continued over the Phoenician era and under the Roman Empire until the part of the 15th century, primarily for copper but for iron. In the nineteenth century the mining started on a large scale mining companies from the United Kingdom. After the peak of production in 1930, production declined and ended in 1986 for copper mining and in 1996 for silver, the mine, which employed as many as 20,000 in the past, would employ 350 people during its startup phase. The firm acquired US$250 million in financing for the project, environmental concerns are centered on disused water reservoirs which might not be able to withstand the stress of renewed waste inputs. This river has gained recent scientific interest due to the presence of extremophile anaerobic bacteria that dwell in the water, the subsurface rocks on the river bed contain iron and sulfide minerals on which the bacteria feed. The extreme conditions in the river may be analogous to other locations in the solar system thought to contain liquid water, NASA scientists have directly compared the chemistry of the water in which the rocks of Meridiani Planum were deposited in the past with the Río Tinto. A shire is a traditional term for a division of land, found in the United Kingdom and some other English speaking countries. It was first used in Wessex from the beginning of Anglo-Saxon settlement, in some rural parts of Australia, a shire is a local government area, however, in Australia it is not synonymous with a county, which is a lands administrative division. 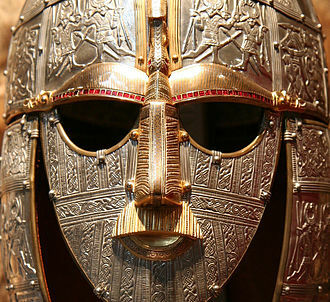 The word derives from the Old English scir, itself a derivative of the Proto-Germanic skizo, in Britain, shire is the original term for what is usually known now as a county, the word county having been introduced at the Norman Conquest of England. Although in modern British usage counties are referred to as shires mainly in poetic contexts, Shire remains a common part of many county names. In regions with so-called rhotic pronunciation such as Scotland, the shire is pronounced /ˈʃaɪr/ or /ˈʃaɪər/. In non-rhotic areas the final R is silent unless the word begins in a vowel. In many words, the vowel is normally reduced all the way to a single schwa, as in for instance Leicestershire /ˈlɛstəʃə/ or Berkshire /ˈbɑːkʃə/. Outside the UK, and especially in the USA, it is common for shire as part of a placename to be pronounced identically to the full word. 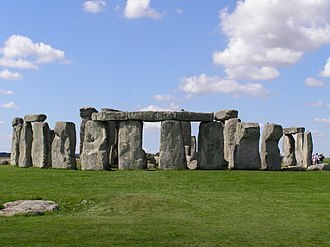 The system was first used in Wessex from the beginning of Anglo-Saxon settlement, in Domesday the city of York was divided into shires. The first shires of Scotland were created in English-settled areas such as Lothian, King David I more consistently created shires and appointed sheriffs across lowland shores of Scotland. The shire in early days was governed by an Ealdorman and in the Anglo-Saxon period by royal official known as a reeve or sheriff. The shires were divided into hundreds or wapentakes, although less common sub-divisions existed. An alternative name for a shire was a sheriffdom until sheriff court reforms separated the two concepts, the phrase shire county applies, unofficially, to non-metropolitan counties in England, specifically those that are not local Unitary authority areas. In Scotland the word county was not adopted for the shires, although county appears in some texts, shire was the normal name until counties for statutory purposes were created in the nineteenth century. Plus Ultra in a museum in Luján, Buenos Aires Province, Argentina.